At work we have some Siemens SIMATIC Touch Panels. They are really nice looking touch screen panels that run Windows CE. 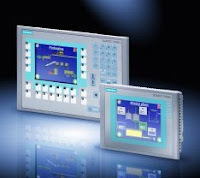 The interface programs can be programmed in Windows using WinCC or other SIMATIC tools in Windows, then downloaded onto the panels to be used during production. It all looks really nice on paper (or in the website, rather). The website describes them as rugged and stable. But in real life, we found out that the touch screens broke easily during actual use in an oily and humid environment. So to protect the screens, we installed thick Plexiglass panels in front of the touch screens and forced the operators to use USB mice to control the panel instead. Unfortunately, the single onboard USB port seems to have been designed to have a device plugged in permanently. Because the mice also get damaged easily in the dirty environment, they need to be replaced constantly, sometimes even weekly, and so the USB port gets damaged quite often. And when the supply of mice run out or damaged USB ports don't get fixed in time, the operators start pressing down really hard on the Plexiglass in order to press on the screen. The result? Damaged touch screens, again. The panels save data in standard CompactFlash cards. But Siemens wants us to believe that they use Special Cards (tm) and our purchasing department got tricked into buying them directly from Siemens. They paid something insane like $500 each and received standard SanDisk 128 MB cards. (We have about 50 of those panels.) I complained to Siemens about the price, but they want me to believe that the cards only looked like standard SanDisk cards, but actually were produced specifically for use in industrial settings (no, they were not SanDisk Extreme cards), and that they were formatted specifically for use with the panels. They even threatened that if I used other CF cards, I would void the warranty on the panels. Anyway, after like a year of daily use, the SanDisk cards started failing one by one. Luckily, this time I stopped the purchasing department in time and helped them buy standard CF cards. I had found a supplier of small sized CF cards earlier, and I managed to get Lexar 128 MB cards for $1 each. $24,950 saved!